KET4CleanProduction is a three-year project funded under the European Union’s Horizon 2020 research and innovation programme. 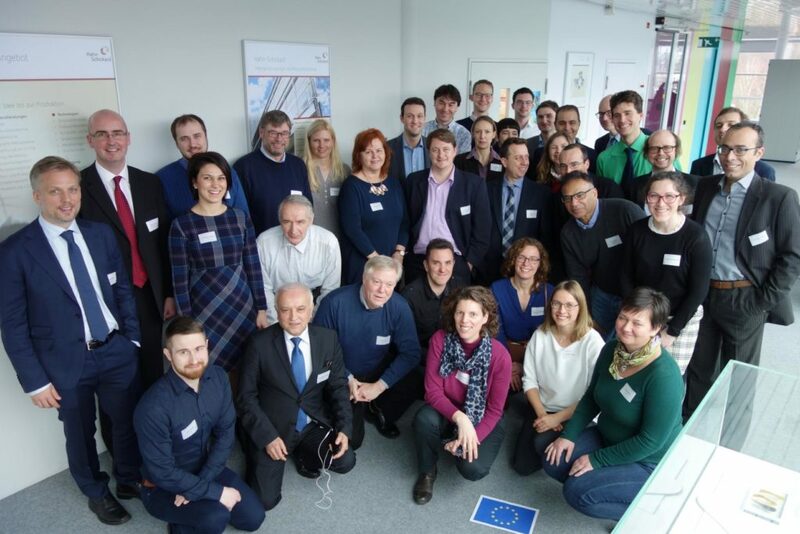 The project kicked-off January 22-23 in Stuttgart, Germany, under the coordination of Steinbeis 2i GmbH in partnership with 12 premier KET Technology Centers and 7 partners of the Enterprise Europe Network from 18 different European countries. INL is part of one of this networks of premier KET Technology Centers aiming at promoting the access of manufacturing SMEs to advanced manufacturing technologies and related key enabling technologies (KET) towards a resource and energy efficiency. The KET4CleanProduction consortium has already started working on the creation of an open innovation ecosystem with a one-stop-shop for access to innovation services for SME through a network of superior KET Technology Centres providing access to clean production technologies.